There is a huge list of possible ailments that can affect our spinal column and because the spinal column plays such a huge role in our day to day lives and essentially allows us to move at all, protecting the spinal cord that is responsible for carrying nervous system instructions from the brain to our nervous ending, as well as giving us the ability to move our torsos left and right as well as forwards and backwards, is very important. Our spinal column is made up of 33 vertebrae. Between each is a disc made of soft cartilage that prevents our vertebrae from knocking against each other or rubbing together and in effect, creates something of a natural shock absorber for our spinal column. Some diseases and indeed just general wear and tear can cause these discs to become misaligned, bulge or warp out of shape and it may be necessary to get this corrected, usually by undergoing disc shaving surgery. What is Disc Shaving Surgery? Several things can happen to your vertebral discs that might require a surgical option to repair. The most common of these is the compression and pinching of nerves in the spinal column due to degradation and wear of these vertebral discs. In most cases this can lead to severe pain and even make basic movement, especially walking, painful and difficult. In cases like this, disc shaving surgery might be a good option for you. During the disc shaving surgery, small parts of the vertebral disc are shaved away to give the tissue more space and relieve compression. To perform a disc shaving surgery, your surgeon will begin by making a 3cm incision over the affected vertebrae and then dissect the muscles away from the bone of the spine. Using specialised instruments parts of the vertebral disc are shaved, usually consisting of the annulus, which is the hard shell covering the nucleus – the soft centre of the vertebral disc. After the surgeon is done they will suture the incision and the operation is complete. 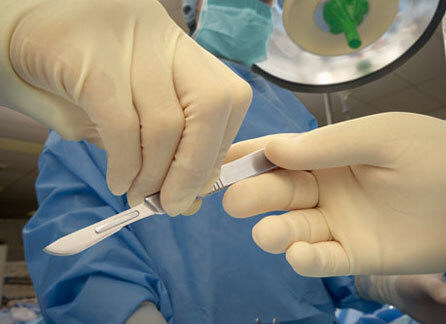 The disc shaving surgery takes between one and three hours to complete and the patient undergoing the surgery is often in hospital for about three days. After the surgery, the surgeon will ask you to get up and become mobile almost immediately. Post operation pain is minimal but can be managed by using over the counter pain killers. Disc shaving surgery is offered in its entirety by NHS and if you are a candidate for this procedure, your medical bills will be covered. Patients can opt to undergo the procedure even if they do not meet the requirements for the NHS covered disc shaving surgery, but it can be very expensive. Getting an estimate price for the surgery will require going to a consultation with a surgeon who will be able to diagnose your condition, decide if you are a candidate for the surgery and then can give you an approximate quotation on what the surgery will cost.